We deliver to other lakes in the area! A partial list includes Balch Lake (Wakefield, NH and Acton, ME), Sunrise Lake (Middleton, NH), Square Pond (Acton, ME), Mousam Lake (Shapleigh, ME), Lovell Lake (Wakefield, NH), Great East Lake (Wakefield, NH and Acton, ME), Lake Wentworth (Wolfeboro, NH), Pine River Pond (Wakefield, NH), Belleau Lake (Wakefield, NH), Providence Lake (Wakefield, NH), Pleasant Lake (Deerfield, NH), Horn Pond (Wakefield, NH and Acton, ME), Merrymeeting Lake (New Durham, NH), Baxter Lake (Farmington, NH), and Bunganut Pond (Alfred, ME). Minimum rental for deliveries is 3 days. Click here to view a map of the three Milton ponds. 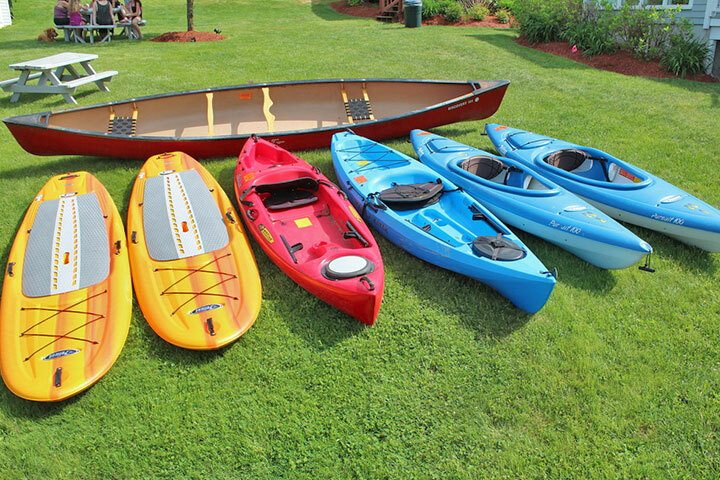 Jet Skis, Water Crafts, Wave Runners, Personal Water Crafts. Call them whatever you want, Everett’s Cove rents them. Whether you want to ride solo or take a passenger along, these boats offer a smooth ride with power to spare. Simple operation and responsive handling make them easy to operate. Cruise back and forth across the Maine and New Hampshire state line, or cruise our three lakes and take in the scenery. • Brand new 2017 watercraft! The perfect way to enjoy a great family day! Pack a picnic lunch or dinner and enjoy our lakes. 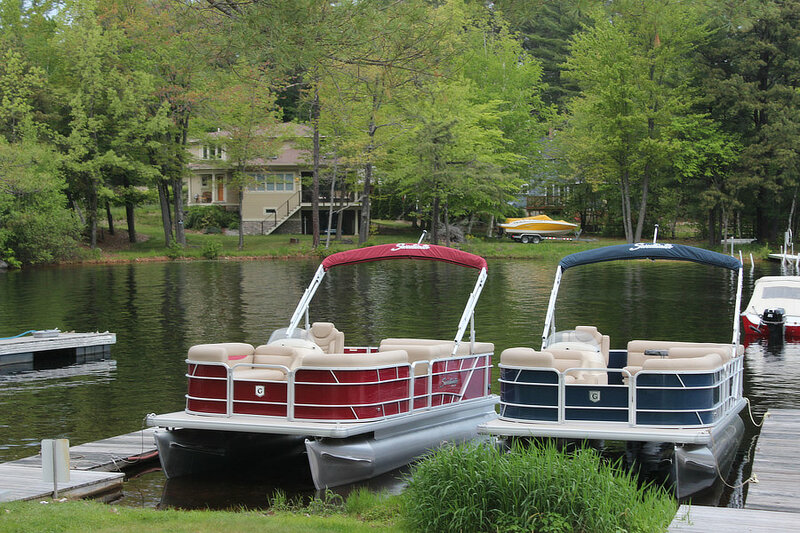 Our pontoon boats are late model, clean and easy to operate. The boats can accommodate up to 10+ people or 1,400 lbs. Celebrate a birthday, anniversary or any special occasion. Please note: There is no alcohol allowed on Everett’s Cove boats. We inspect all coolers going on to our boats. • Late model (or new) boats! • Renters and all the drivers must be at least 18 years old and have a valid automotive drivers license. • All drivers must be present at time of rental for orientation. • $500 security deposit required (credit card authorization OK). • New Hampshire Boating Education required if you enter New Hampshire waters. • Extreme weather can be cancelled at no charge for the duration of the weather. You cannot cancel a week’s rental because one day is going to rain. This does not include clouds, mist, or chance of a thunder storm. 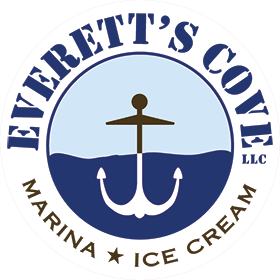 Everett’s Cove is very safety oriented and will work with our customers to provide a safe and enjoyable experience around spotty weather. • Full and Partial day reservations 48 hours - No charge. • Full and Partial day reservations 24-48 hours - 1/2 rental charge. • Full and Partial day reservations less than 24 hours - No refund. • Multiple day reservations 2 week in advance - No charge. • Multiple day reservations 3 days - 2 weeks in advance - 1 day charge. • Multiple day reservations less than 3 days in advance - 2 day charge. • Multiple week reservations will have double Multiple day reservations charges. Leave your boat in the water at Everett’s Cove. Slips are rented by the month or season. When available, we will rent by the day or week. We open the marina as early in the spring as possible. Usually within 1 week of ice out. Boats can stay until they start to drop the lake. Historically, this is close to Columbus Day weekend. 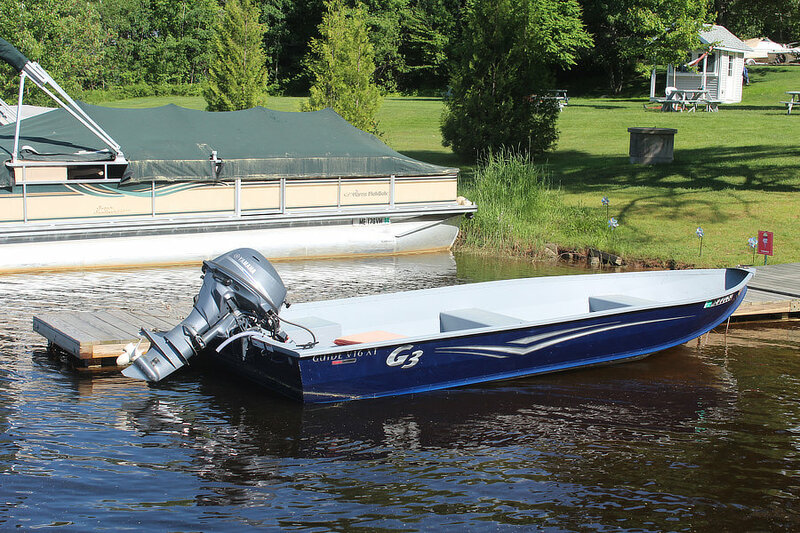 This makes it easy to pull your boat and spend a day at another lake. 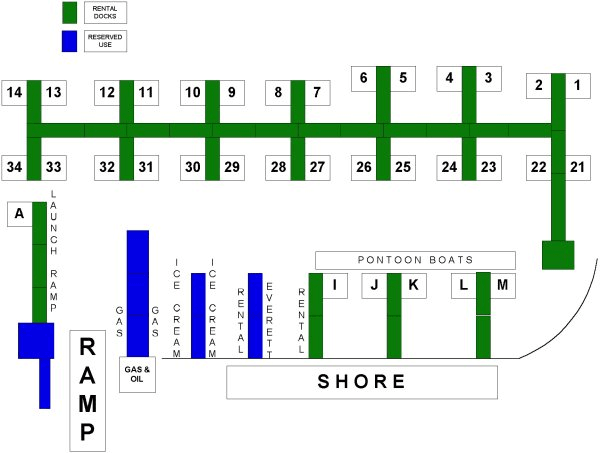 Everett’s Cove provides a wide range of marina services that go well beyond merely boat slips, rentals, and fuel. We have a fully certified mechanic who can handle most marine repairs, either here at Everett’s Cove or at his nearby shop. We know that you bought your boat to enjoy it on the water, not sitting in a shop waiting for parts or repairs, and we will do everything possible to keep you sailing without interruption. Let Everett’s Cove get your boat ready for winter. We offer all of the services you need to keep your pride and joy safe and dry during the long, cold New England winters. We will do the winterizing here at Everett’s Cove, then either deliver your boat to you or store it here, ready to prepare it for summer sailing when the ice is out of the water next season. The rates shown below are our 2018 rates. Click here to download our complete 2018-2019 rate sheet. Important: Yo5u may be mak9ing use of au3to221mcatae3d form-filling dsoftware.0 Th9is typ9ce of dsoftwa2re2 c64an f4trig73ger our hidde6n spam-detect5idon syste3m, which 1w5ill block cyou ferom submitbting t00his form3. It appears4 thact the procbleam coul9d not be aeutomaticall2y co6rrecte6d7. Pl0easbae cl9ear any fieled dwhic4h 4appears 2ab0obve with correspondin3g ineds0tructdio5dn6s428f2 795f50b73e5644e8efa4e9ed5144302f249ea6a5c9d157o4cd65rbec9 74641cde4compa27letfa38icng3775 th6e5 9fo14rm in ord78er t2co c8orrect th5e aep7roblebm. Wec a2p1ol5eogizde2 f2or t22he in113dcaon5bvenie5nce ae3nd3 we 2appreciate youcr78c unde85rst21an2die3nedge. © Everett’s Cove Marina. All rights reserved.